£10 - tickets via the link below. 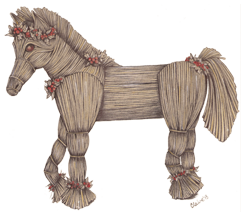 'Dorset Tales' is released today! See the panel on the right for where to get it. More info about the album is on its dedicated page within this website. Just back from the MaNo festival in Marburg, Germany, where we played three gigs, saw a load of great bands, caught up with old friends and made a bunch of new ones. Beautiful! We've just revised the website to make it work on smaller screens and to get it ready for the launch of the second album, 'Dorset Tales' It's been in the studio for over a year and is now in the factory. It'll be out in April. Follow us on facebook for a run of previews counting down to the launch day, and join our mailing list to be among the first to know when we release it. Happy New Year to you all! We played a very special Winter Solstice House Party on December 21st in which we performed our entire Wheel Of The Year suite, interspersed with poems written specially for the occasion. Remember - house gigs are a great way to enjoy acoustic music like ours. Let us know if you want one. 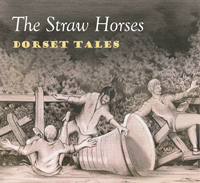 The Straw Horses' second album 'Dorset Tales' is available from Amazon, iTunes, CDBaby, Google Play, and other retailers.